Along with "That 70's Show" and "Southpark", this is one of my favorite TV shows. 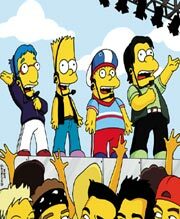 Yes, I am a total Simpsons fan. 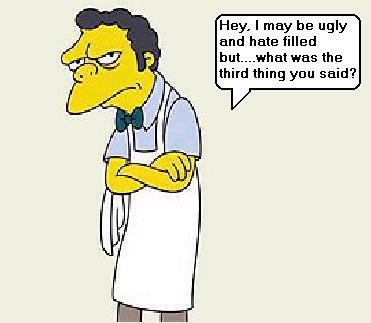 Anybody who does not care for "The Simpsons", I understand and respect his/her opinion, but those who really dislike the show and constantly verbally bash "The Simpsons" are total prudes with no sense of humor, in my opinion. I think I have seen almost every episode. 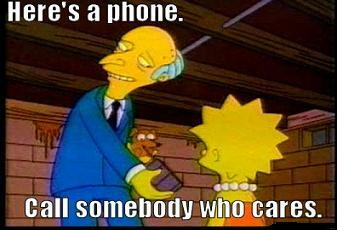 My daughter likes the show too, because she likes to make fun of Homer. 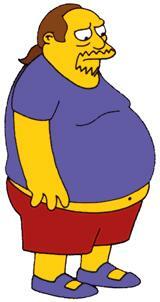 Homer Simpson has made my top ten list of the most "undesirable men". 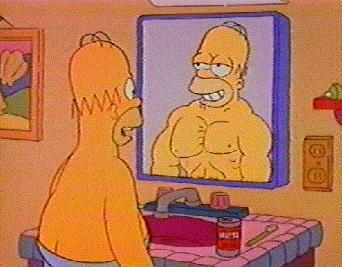 I know he's just a cartoon character, but if men can talk about how beautiful Japanese Anime girls and Betty Rubble are, I can talk about how lazy, selfish, and stupid Homer Simpson is. 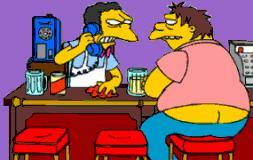 Homer is a God to the yobbos in Australia, as well as underachiever men in the trailer parks of the United States. My all-time favorite Simpsons episode is "Colonel Homer", where Homer picks up a cocktail waitress, "Lurleen Lumpkin" and turns her into a country singer. It reminds me so much of my Redneck upbringing and how the TV show, "Hee Haw" was a major part of my childhood. I liked Lurleen's song, "Your Wife Don't Understand You, but I Do", because it's so true about some country town women who only find love with incompetant, unavailable, married men in bars. Your wife don't understand you, but I do! I said, no one understands you, but I do!! All the Halloween episodes are great too! 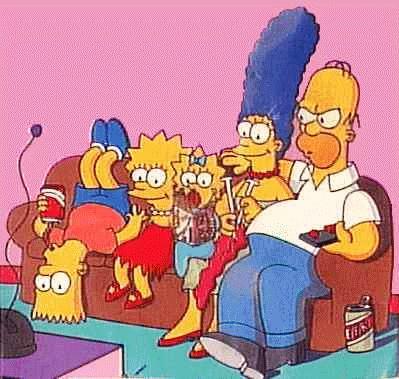 Lisa creating her own universe with a pulled tooth and cola is a fave of mine, or when Homer kept going back in time with the broken toaster and the episode where Homer ate the forbidden donut and was sent to hell. Oh, there's so many! They have very creative writers for the show. 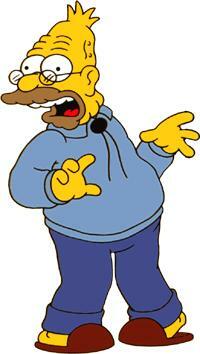 I do impersonations of Simpson's characters for my family and friends. I imitate Patty, Selma, and Ralph Wiggum. 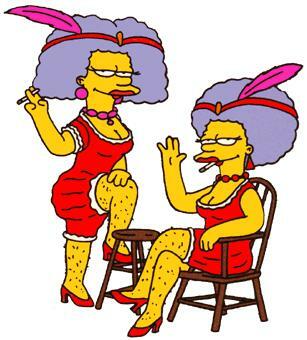 Any episode with Patty and Selma in it, is hilarious. Selma got married, more than once, (which were great episodes too!). Selma is otherwise known as Selma Bouvier Terwilliger Hutz McClure. 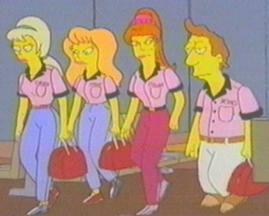 A real Simpsons fan would catch the joke here.....The bowling team is called "The Homewreckers" with Lurleen, Mindy, Princess Kashmir, and Jacques, who had caused havoc in the Simpson's home in previous episodes. "Yvan eht Nioj!!"..... (Played backwards, of course, is "Join the Navy". Makes me think....maybe all that Duran Duran I listened to back in the 1980's had subliminal messages, telling me to join the Navy....um, nah!!! :)) I loved all the Navy cracks in this episode, like the Springfield "Squidport" where the USS Sea Spanker was docked. "When are you going to wake up and smell your husband Marge? Granted, you got some kids out of him, but once the seeds are planted, you throw away the envelope!"